Opening their first location in the spring of 1984, Helen Babalos & Thomas Makris brought us Anatoli Souvlaki. 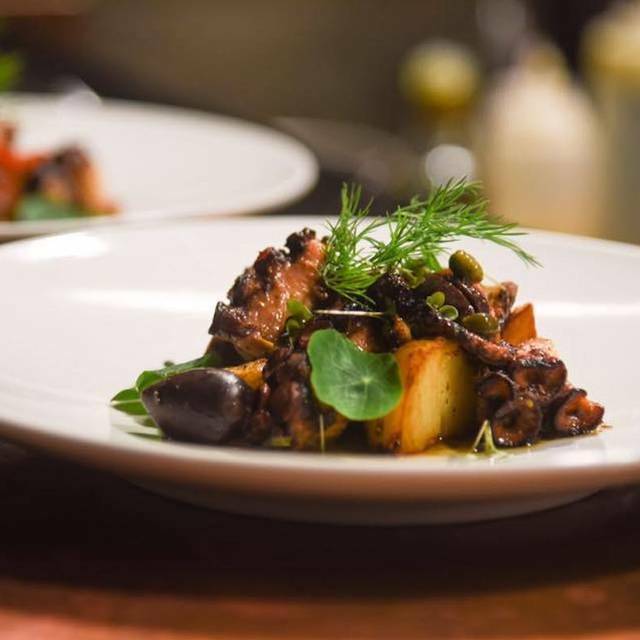 They had a dream of combining the food of Greece with great service to add some Mediterranean style to the North Vancouver restaurant selection. They opened in the sleepy neighbourhood of lower Lonsdale and lived above the restaurant to ensure the quality and service. They were able to create a North Vancouver staple, a successful thriving restaurant based on faithful patrons and a reputation that has been passed through generations.In 2011, the family-run restaurant was taken over by their sons Alexi and Iani. In 2015, the brothers, alongside their cousin Daniel Bergman, expanded on their parent’s dream by opening The Greek in Yaletown, with a focus on mezze-style dining. Now open in Gastown. The Greek is a reinterpretation of the North Shore's iconic Anatoli Souvlaki. I don’t understand why restaurants have to play the music so loud at 7:00. Sure later maybe. But when I meet a friend for dinner I like to be able to have a conversation without screaming. I guess it’s ok for those who spend dinner on their phones. Won’t be back. Food was ok but not good enough to put up with the noise. Large portions and good variety of entrees to choose from. Different presentation of dishes and we were pleasantly surprised by unique twists. Great for sharing are various platters. It was way too loud. Hard to talk or hear my friends. Great venue tho and good food. Yes I recommend Food is perfect as always. 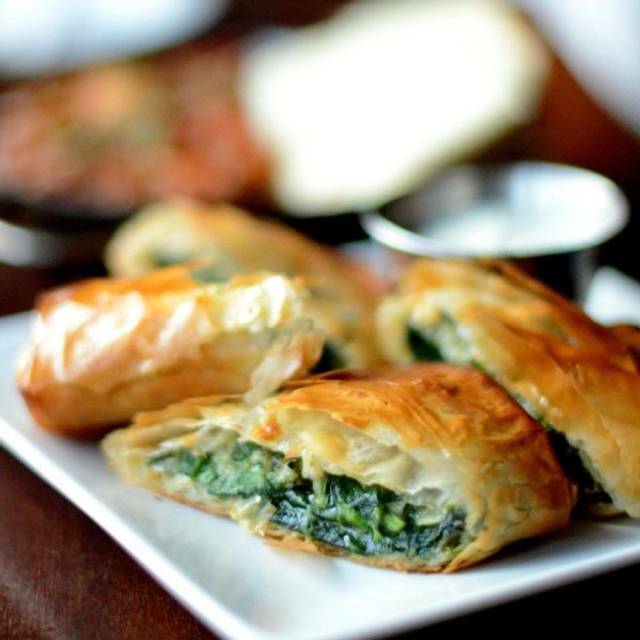 If you like high quality Greek food (not an oxymoron) consider The Greek - Gastown. It has the high quality traditional food similar to the North Vancouver location but a similar funky vibe to The Greek Yaletown. Fine flavours in a casual environment, can't go wrong. Super disappointed we were late to be seated, then asked to leave within about an hour, and then even had our plates and food cleared early because a larger group came in and just stood and watched us and we were asked multiple times if we were “going to be leaving soon, ok good” did not feel welcome whatsoever and what is the point of having a reservation if you are going to allow 40 people to stand in the waiting area? This was all before 10 pm, our reso was for 8, we got sat and served for 830 table cleared by 930. Lovely time! We sat right beside the window with a great view of Gastown. Delicious, authentic Greek food! Amazing staff, beautiful room and the best greek food I've ever had! This was our first time at this location and it was just as good their other ones. I always order their Sangria which is super tasty. 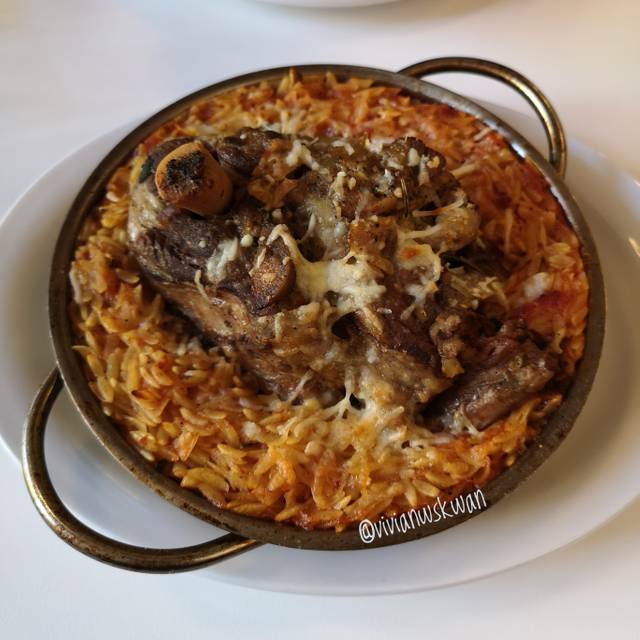 I recommend sharing their Platters but this time I tried their braised lamb with risotto. The risotto was a little salty but their lamb was delicious! Great service, light airy space, flavourful dishes. Some tables a little close together. The halumi caprese salad and the fresh calamari were delicious. I will return for sure. Atmosphere was very relaxed. The staff was very friendly and welcoming. Our friend was late and they were quite understanding. Although the food seem limited what we chose was quite good. We got the lamb youvetsi, it's SO GOOD! 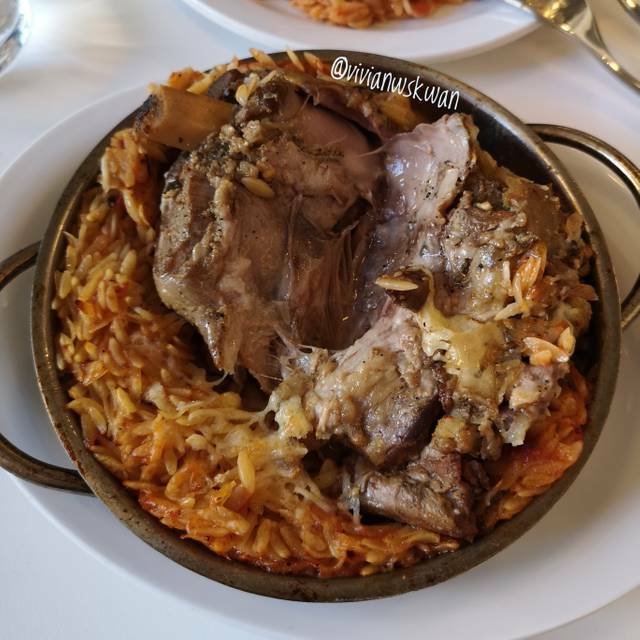 The lamb shoulder is braised perfectly, so soft and tender, the orzo is delicious, seasoning is well balanced, and the overall medley of flavours just keeps you wanting another bite. I only ate this dish for the first time a few hours ago but I already can't wait for my next visit...PLUS it's reasonably priced for a Gastown location of this food quality! Even though they just opened about a month ago, this place has quickly made its way into this foodie's favourites places to eat! The service today was decent as well, although the waitress we first had seemed a little standoffish, but the waiter who served us after was friendly! We went before dinner service, around 4 PM, so the noise level wasn't very high since there weren't other tables around, only some people at the small bar that's available. I would presume with a full house that the noise level would be much higher, since it's a casual dining type of place. Good place and excellent service ! Food was very good. 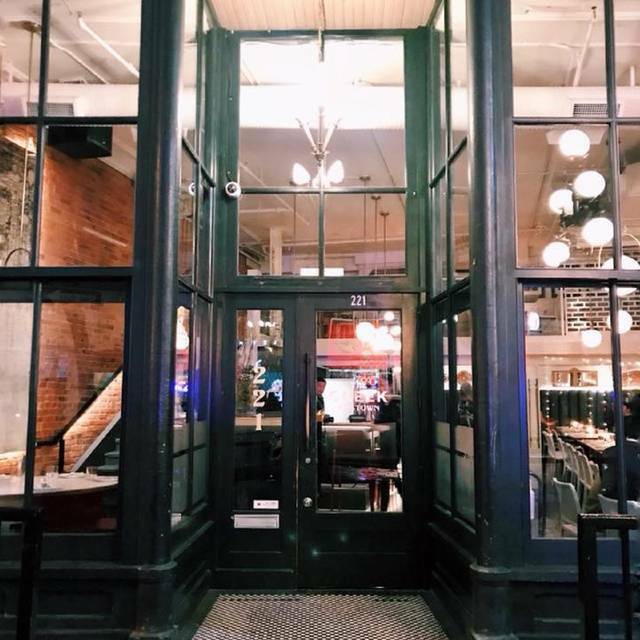 A bit pricey for taverna Greek, but it's Gastown so a slight premium is to be expected. Good cocktails, nicely roasted lamb, and the fava beens and mushrooms starter was the surprise of the night. Exactly what you want Greek taverna to be ... with a DJ. Don't get me wrong, there's nothing wrong with a DJ, but its not exactly what I was expecting. I'd have appreciated a less "club-like" atmosphere with my 6:15 reservation. Overall a nice experience. Not where I'd go for a romantic dinner, but rather a night out with friends. Who says you can't have great tasting Greek food in a hip and happening environment? Just be aware that there is a millenial dj onsite who starts playing hip hop with vulgar lyrics after 9pm. Not exactly my thing but I was a kid once so can hardly complain.